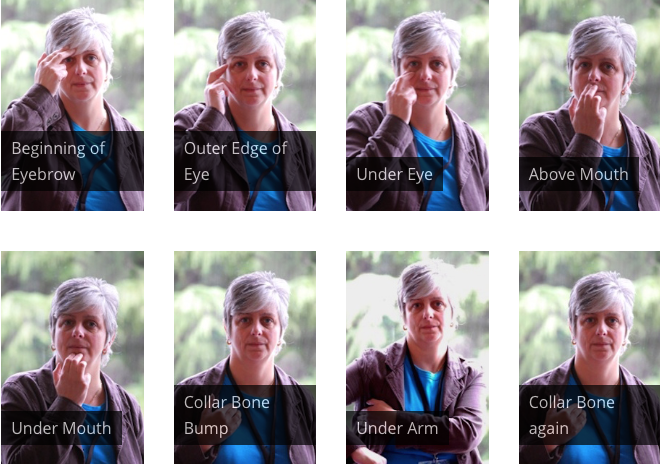 EFT uses words and gentle tapping on face and body points. Getting started you may want to try out the EFT tapping points first and then add in the words. 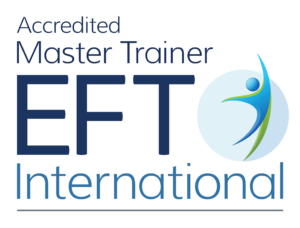 EFT is for Everyone. If you are going through intense stress, or have been through episodes of mental ill health then it is best if you find an experienced EFT practitioner to help you. ABC is a nice way to get to know how to use the words and EFT tapping points. It can all seem overwhelming and you dont know how to begin. The key is in taking bite sized chunks, or aspects, of a big problem and tapping through those one at a time. We teach you how to do this in our EFT HELP YOURSELF Workshop. Step back and notice what bothers you. What ache, pain, memory, thought or feeling is getting to you right now. Take one chunk of the problem and give it a few short target words. Give a 0 to 10 score of how much it gets to you now. Now tap 6-10 times on each of the points in the photos below. Keep tuned into your target by repeating the target words at each point. ABC and back to A of Awareness. Notice again that same ache, pain, thought or feeling. Is it the same? Or is it different? How is it different? Change your target words to describe it now. What score number would you give it? Repeat the tapping process for B and C with your new target phrase. Test again. Measure. Change your words. Tap again. Test again…. In this way you work through the chunks or aspects of your problem.